Dentists are well placed to be able to offer skin enhancements due to their detailed knowledge of facial anatomy and facial proportions. Lorna is now able to offer Facial Aesthetics treatments at Causeway Dental. These treatments can smooth your skin and plump out deep lines as well as plump lips and generally enhance your look. Understanding the facial anatomy allows Lorna to offer a natural enhancement that will make you feel great and keep your friends guessing which treatments you have had! Wrinkle relaxing injections use very small injections of botulinum toxin to stop muscle activity and hence smooth out wrinkles. They are incredibly effective at rejuvenation and freshening up your facial skin. Lorna will see you and assess your skin before prescribing a skin smoothing treatment. These treatments will take up to two weeks to take effect but you will be able to return to work immediately after your treatment. Generally they will last between three and six months at which time you can repeat the treatment. Lorna graduated from Dundee Dental School in 1998. She first worked in General Practice in Fife, Scotland and then progressed on to The Edinburgh Dental Institute where she gained her Membership of the Royal College of Surgeons of Edinburgh in 2002. In 2004, Lorna and her Scottish husband (David), moved to live and work in Northern Ireland. Working behind the scenes, Lorna is a familiar face at Causeway Dental. She has worked at the School of Dentistry in Belfast as a Clinical Teaching Fellow since 2004 and continues to do so, having gained a Diploma in Clinical Education. Lorna plays a lead role in the teaching of all Queens University dental students. 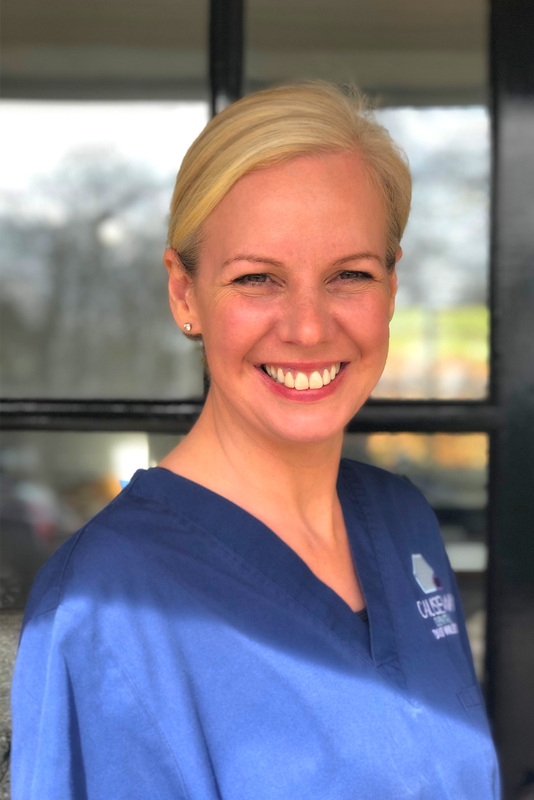 Lorna will continue to work in her clinical teaching role but we are delighted that she will lead our Facial Rejuvenation Clinic at Causeway. Her wealth of clinical experience means that her patients really are in the safest of hands. When not busy at work, Lorna enjoys cooking, gardening, Pilates and looking after David and their children! In a good way – yes! You’ll look refreshed, same you - only better! The effects will last 3-6 months on average depending on muscle strength, your metabolism and lifestyle. You will begin to notice results within 2-3 days and up to 14 days after your treatment. Yes of course, they tend to require a larger dose (there is an additional cost of £25 for this). We use mini ice packs and numbing cream, any discomfort is minimal. Do I need to take the rest of the day off work? Not at all, most people go straight back to work. We ask you to take things easy and no strenuous exercise for the rest of the day though. I’m worried I’ll look completely frozen! We will thoroughly assess you beforehand and discuss your needs. We prefer the “less is more” approach and we’ll see you again within two weeks to check how things are going and even top-up if necessary.